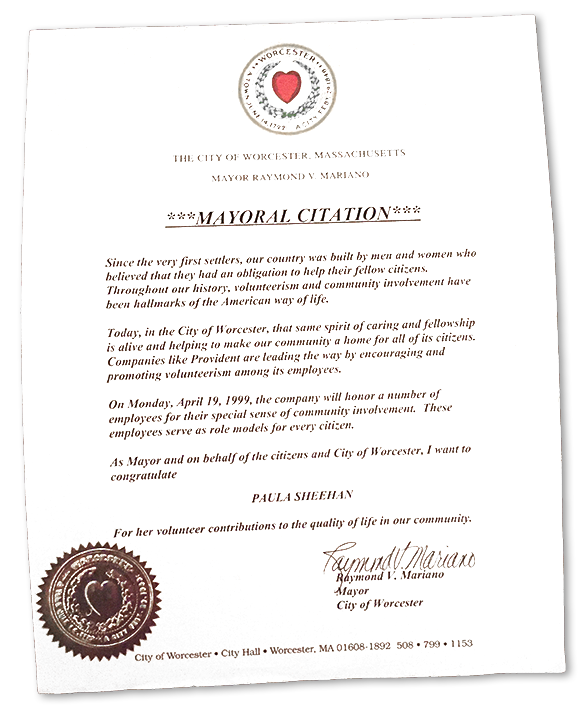 "As Mayor and on behalf of the citizens and City of Worcester, I want to congratulate Paula Sheehan for her volunteer contributions to the quality of life in our community." Volunteerism and giving back to the community has and is always an important part of who I am. I have raised thousands of dollars for so many organizations.